We are going to go from pretty evil to very musical all in one afternoon! ts the town drunk (played by Elisha Cook, Jr, of course) and a trio of prying tourists led by Thom (Michael Greer), the sinister history of the town starts to reveal itself. Messiah of Evil is one of the most unusual of early-seventies horror films. Taking some cues from Night of the Living Dead, it creates its own unique blend of horror and political commentary. Go to http://www.singsnap.com, sign up for account, record your song. 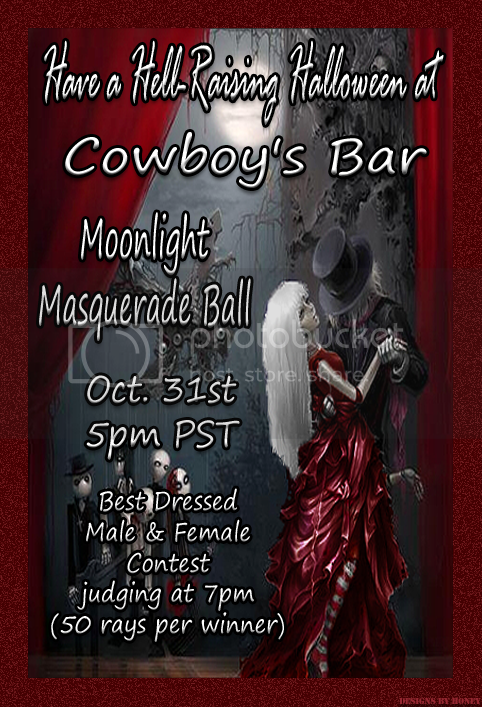 October 31st - Halloween Masquerade Ball @ Cowboy's Bar! Click HERE to enter the bar directly! 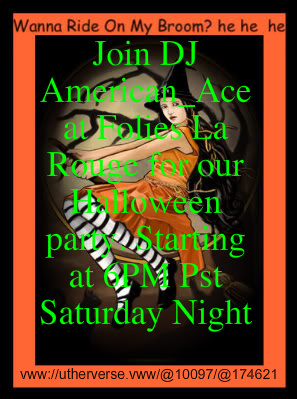 We are going to kick Halloween Week off with a party that might leave you looking over your shoulder, like 'Ahhhhh, what was that?' Maybe stay out of the basement.....this whole week is going to be pretty spooky. Please help us in welcoming one of our neweset DJs to our roster - LdyHell_Rx will be raising the dead! 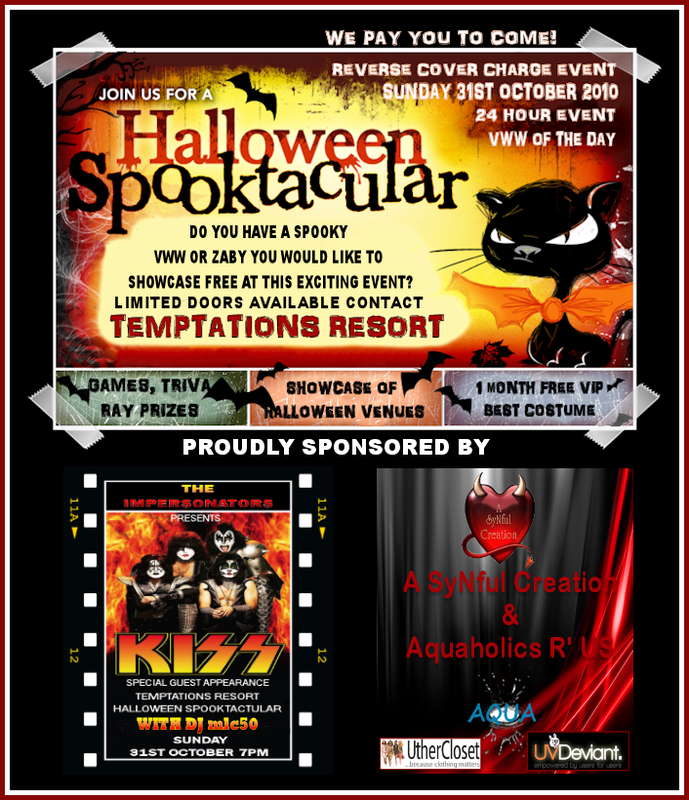 Sponsor giveaways by Rad Fashions for Men & Women and Slappy's Closet.